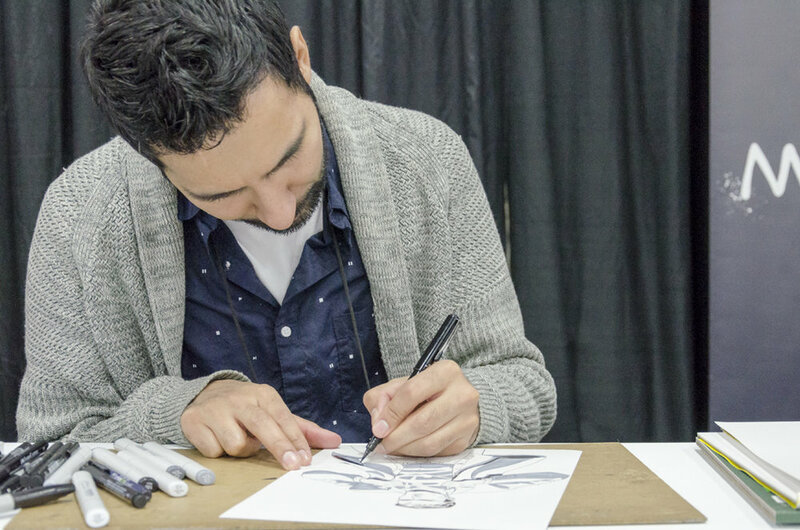 Artist Vic Malhotra at the 2016 Edmonton Expo. 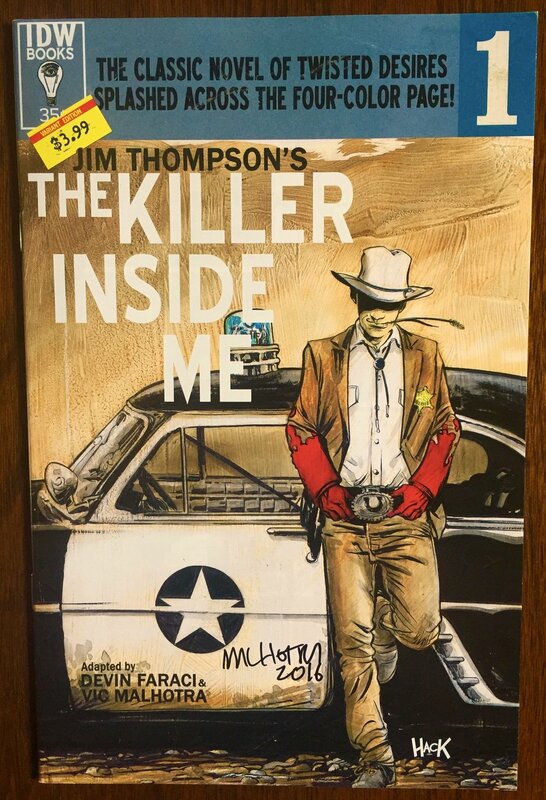 Comic artist Vic Malhotra sat down with me at the 2016 Edmonton Expo to talk about his five-issue story from IDW - The Killer Inside Me (go ahead and hit play on the soundcloud link to listen). The latest series from Roche Limit co-creator Malhotra is an adaptation of the 1952 book by the same name, written by author Jim Thompson. Malhotra tells us about how he and writer, Devin Faraci, went about adapting this pulp noir crime novel into a comic book series. And as Malhotra puts it, the material is pretty sensitive, which challenged the creative team to re-tell this story without getting into trouble, but also staying true to the original work. 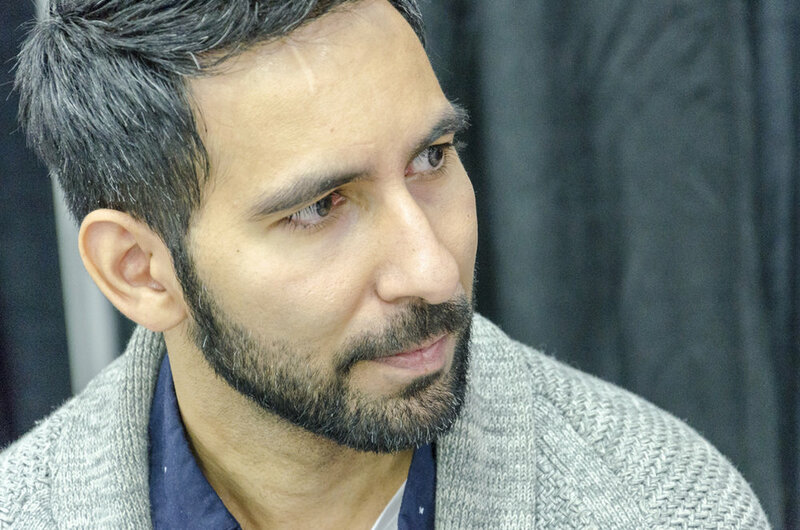 Plus, we go on to talk about Malhotra's art, from where he was just a few years ago to where he is now when it comes to his process and always pushing himself to grow as an artist. 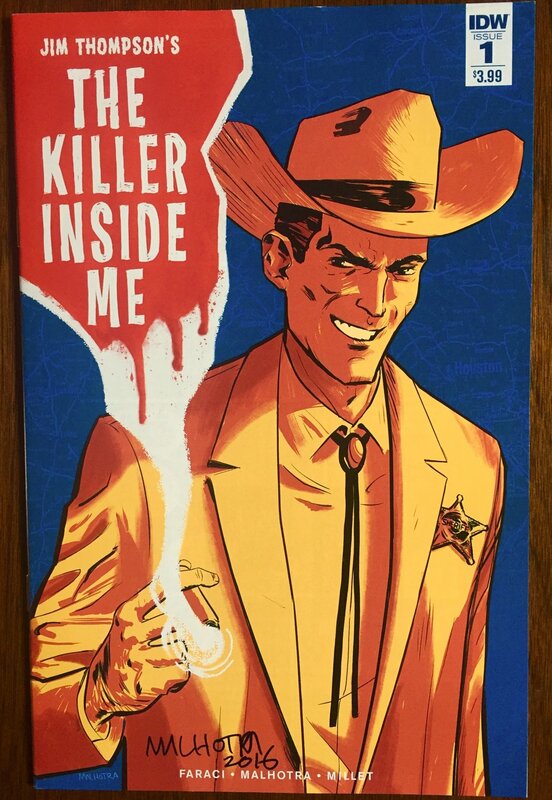 Issue #2 of The Killer Inside Me hits comic shelves Wednesday, October 5. Be sure to check it out. It's a pretty gritty story with some incredible art. Also, colors by Jason Millet, letters by Christa Miesner, editor Denton J. Tipton and publisher Ted Adams.